This sweet rhyming book tells the story of Yarashell Abbily, a three year old girl who loves to mess up her room. But when her mommy tells her it’s time to clean up, Yarashell is anything but happy. Will her room ever be clean again? Young kids will love following along as Yarashell learns to pick up her room. Filled with beautiful illustrations by Sara Wilson, the book also includes “I like to mess up my room” song lyrics. You can download the song at sybrina.com. 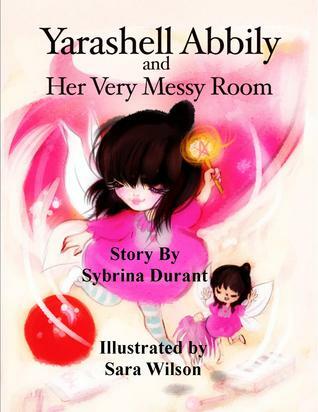 Yarashell Abbily And Her Very Messy Room is a short, entertaining read that will captivate your little ones while encouraging them to clean up their messes. Perfect for an afternoon story time, this book is very cute and highly recommended! But the book on Amazon.com HERE.